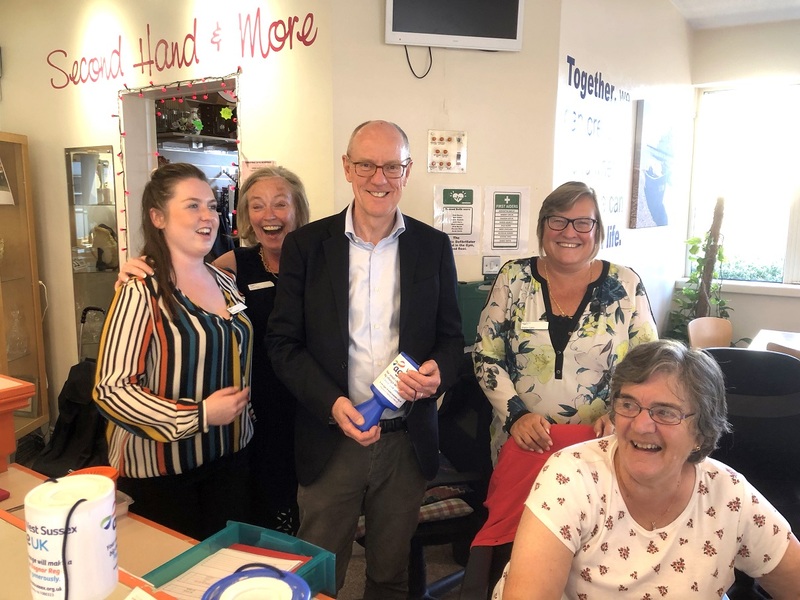 MP NICK GIBB used his latest visit to a Bognor Regis centre to learn about the start of social prescribing in the town. Mr Gibb discussed the service at the Laburnum Centre which highlights the importance of mixing with other people to maintain good health. The centre, run by Age UK West Sussex, is working with GP surgeries around the town to encourage this approach for some of their patients. Mr Gibb, Conservative MP for Bognor Regis and Littlehampton, said: “It’s all too easy to become isolated in old age. “But the evidence is now very clear that maintaining a busy social life is a key component of living a healthy life. Mr Gibb watched a line dance class taking place during his time at the Lyon Street centre. He also met its bingo group, saw its gym, hair salon and restaurant. The Laburnum Centre has 1,100 members and is open to people over the age of 50 for an annual membership fee of £65.